Does Copyright Make Books Disappear? Copyright law has two main economic justifications. One is familiar—the idea that copyright promotes the production of creative work by ensuring that creators, and not copyists, gain the value of their creations. Yet production is not enough, since works also need to be distributed over time. And here lays the second main justification: copyright’s power does not end at the moment of creation, but instead provides a continuing incentive for creators (or their financial backers) to distribute and market works. Absent that incentive, creative works will not be readily available to the public. [Our research] collects data from a random selection of new editions for sale on www.amazon.com (“Amazon”) and music found on new movie DVD’s for sale on Amazon. By examining what is for sale “on the shelf,” the analysis of this data reveals a striking finding that directly contradicts the under-exploitation theory of copyright: Copyright correlates significantly with the disappearance of works rather than with their availability. Shortly after works are created and proprietized, they tend to disappear from public view only to reappear in significantly increased numbers when they fall into the public domain and lose their owners. For example, more than twice as many new books originally published in the 1890’s are for sale by Amazon than books from the 1950’s, despite the fact that many fewer books were published in the 1890’s. For the average consumer, 19th century books are far easier to acquire than 20th century books. That’s compelling evidence against the claim that long copyright terms are necessary to ensure adequate distribution; in fact, Heald argues the opposite is true. Heald’s findings speak to a disconnect between politics and economics in copyright law. There are clearly some 20th century works that are quite old (think Mickey Mouse), that have enduring commercial value, and for which their owners (think Disney) carefully study how best to exploit them in a 21st century market. But for the typical older work, no one is paying any attention because demand for the work in the market is low. Books from the 1940s, for instance, are very often out of print and while they may be available in some libraries and in the occasional well-stocked used book store; you or I would have a very hard time tracking one down for purchase. An economically-rational copyright policy would balance these sorts of works against the very rare works that maintain high demand over long periods of time. Instead, our copyright policy in Congress is driven by the interests of copyright owners such as Disney, for whom longer terms are better and the best copyright term (for their own works, at least) is infinite. At their behest, copyright terms have grown longer and longer—now life of the author plus 70 years. Yet, as Heald suggests, availability to consumers has diminished. Since only part of the paper is quoted here, we are only seeing part of the argument. From a readers standpoint it seems like a good idea to shorten the copyright period. This could increase the number of titles available to the general public. It would also most certainly decrease the compensation provided to the content creator. If a title is available to the publisher copyright free and they can produce it without having to pay the author, why would they? Some might, but many would not. Your question was probably meant to read, "why would they pay the author?" but it sounds like you were saying, "why would they print the book, if they didn't have to pay the author?" Long copyright periods don't usually result in authors getting very much more money. When the copyright restriction results in the publisher refusing to print it any longer and also refusing to let anyone else print it (very common for books), then the author gets nothing anyway. A 10% royalty on zero sales is still no compensation. I once did the present value calculations and the expected revenue from a sale 40 or 50 years in the future is functionally zero. Long copyright periods do nothing to promote creation of works and thanks to the zero marginal cost of digital reproduction there is no rationale for copyright to support future production of works either. The only benefit is increased marketing of works not currently enjoying strong sales. Making a public domain work available costs very little, however few would ever bother to invest in marketing one due to the free rider problem. So the question is...does the world benefit from more marketing. Duhhhhhhhrrr, more books offered for sale that have no copyrights versus books with copyrights , doooohhhhhhhh, errrraow, snif, grunt. IE: If the raw material is essentially free (water) then more units can be packaged and sold by more sellers (bottled water) = same for books. The whole copyright idea is twisted from the original eras. Do you suppose some of this might be due to the fact that a number of books from the 1890s era have become "classics", and so are required reading in high school & college English classes? The theory doesn't explain the sudden dropoff, literally the very year that copyright law begins to protect most titles. Works after 1923 have become "classics." Catch-22, The Great Gatsby, One Flew Over the Cuckoo's Nest, The Grapes of Wrath. The study seems to be suggesting that, under modern copyright law, only a handful of relatively famous works will continue to be accessible to the public. The flipside of the exclusive right to distribute a copyrighted work is the exclusive right to not distribute a copyrighted work. No disrespect to those who love classic literature, but this conclusion is obvious to anyone who has tried to find an old movie or TV show on DVD or Blu-Ray. In my case, I had a heckuva' time finding "My So Called Life" on DVD for my wife. This is exactly why copyright used to have to be renewed up until the laws were changed in the 60s. Why do we have copyrights that effectively never expire, and yet patents expire after 20 years? We frown upon companies that hold medical and pharmaceutical patents for charging a market-driven price for even that limited period, and in many countries the government imposes price restrictions. Is a book or a movie somehow more valuable to society than the scientific discoveries that lengthen and improve our lives? 20 years is quite sufficient for copyright protection. I'm absolutely certain that no publisher or production company is paying creators on the basis of theoretical revenues that might occur two decades in the future, and so there will be no impact on the incentive to create. It's certainly easy to find examples of works that make a good deal of money for their authors (or the authors' estates) long after the original publication. Consider for instance The Hobbit: originally published in the 1930s IIRC, it didn't become really popular until after LOTR, which itself didn't become popular until a decade or more after its original publication. (And is now one of only two fiction works, and four non-religious texts, in this list of the top 10 bestselling books of all time: http://www.toptens.com/books-sales-worldwide/ ) So by what logic should Tolkien not have gotten royalties for sales of The Hobbit after 1960? It's far easier to find examples of works that simply disappeared from the marketplace long after their original publication. Most books only make significant money for their authors for a little while after their publication. "So by what logic should Tolkien not have gotten royalties for sales of The Hobbit after 1960?" I don't know. In what other field of work does work done decades ago continue paying the worker money? Why should a work that has taken center stage in our cultural imagination for decades continue to remain under the complete control of the author? Why should Disney have the option of suing the writers of crappy Star Wars fanfic until the end of the 21st century? How much creative activity must we forbid in order to ensure that the occasional literary megastar -- after making a great deal of money the first few decades after publication -- continue to profit? Meanonsunday is right: no author sits down to his keyboard thinking about the one-in-a-thousand chance that there will be a continued royalty stream fifty years out. The idea that such long terms of copyright do anything to promote additional creativity is ludicrous. And that's the relevant criteria, because copyright requires that the government clamp down on what would otherwise be free speech. But if there needs to be a "blockbuster loophole" to satisfy you, I'm fine with that. The problem of "those authors just keep raking in money for too long" is not the big issue here. 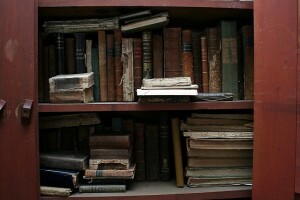 It's the disappearance of lesser-known books from the public eye that is the real tragedy. Interesting study, and not surprising. It makes sense that a work without copyright restrictions would be distributed more than copyright protected works, simply because the restriction is gone. I suspect that creators may be more concerned about financial profit than their work being claimed or altered by others. I`ve published a couple books of my own and decided to make them available for free in pdf format on my website and although I own the copyright, I would have no concern about people distributing them to others for free. It`s the message that is important. The problem arises because there are at least three economic players: the creator, the manufacturer (defined broadly to include all intermediaries in the distribution channel) and the consumer. When a work is first released, there is enough overlapping of interests to create a market. Enough people are prepared to pay whatever it takes to get something new--or at least the manufacturer thinks so--and the creator is compensated for copyright and the product comes to market. Similarly after copyright has expired, the consumer always likes cheap stuff. And the manufacturer enjoys a lower cost of production because the creator no longer has to be paid. If the work continues to enjoy a public, someone is likely to republish it. The problem arises during that lengthy interim period, after the first release and before the expiry of copyright, when the manufacturer cannot generate an adequate return on the investment of keeping a product in the distribution channel, even though there might still be a market of sorts for it, and even though the creator would love to continue to earn income from his or her work. Telling the creator, too bad, you're no longer going to be paid is just not fair. One approach is to disintermediate the manufacturing and distribution channel. Creators self-publish, either online or in print. Then they can keep going for as long as they want and as copyright laws permit. Another approach might be a scale of royalties that declines over time. Yet another approach, as suggested by one other commenter, is to require copyright renewal, which serves as a filter to identify, by inaction, the works for which copyright is insufficiently valuable to justify the effort. I'm not sure what you mean by "a scale of royalties that declines over time." Copyright is a monopoly given by the government that allows an author to demand royalties in exchange for publishing rights. But it has no say in what those royalties are, or how they get split. That's between the author and Amazon... I mean the publisher. Though I'm not sure what you meant, it does suggest a solution: radio stations have the right to play songs in exchange for a per-play licensing fee, and the copyright holders cannot stop them. We could devise a similar system where a rightsholder has to re-register the copyright every 20 years or so. If they fail to do so, the copyright doesn't expire per se, but any publisher who wishes to sell copies of the work may do so, if they pay some mandated per-copy fee to the copyright holder. The copyright holder has no legal means of preventing this, and in the event that the rightsholder cannot be located, the fees get put into escrow somewhere to wait for someone to claim it. And, as you suggest, the size of the per-copy fee would be reduced as the work got older. This coincides with my personal experience. My Kindle has become a "Classics Library" loaded with dozens of out-of-copyright works that I'd like to get to, or revisit. Mixed in with a handful of current books, which I have paid "full price" for. In between? Almost nothing from the mid/late 20th century.